They have been playing and developing their sound since 2012. In 2015, they recorded their first full-length album at Magnetic Fidelity with Jesus I. Agnew as their sound engineer, who contributed his in-depth knowledge of analog recording and the independent music industry. Only analog equipment was used in the recording/mixing/mastering stages of the album. All the songs in the record were performed entirely live during just one day. 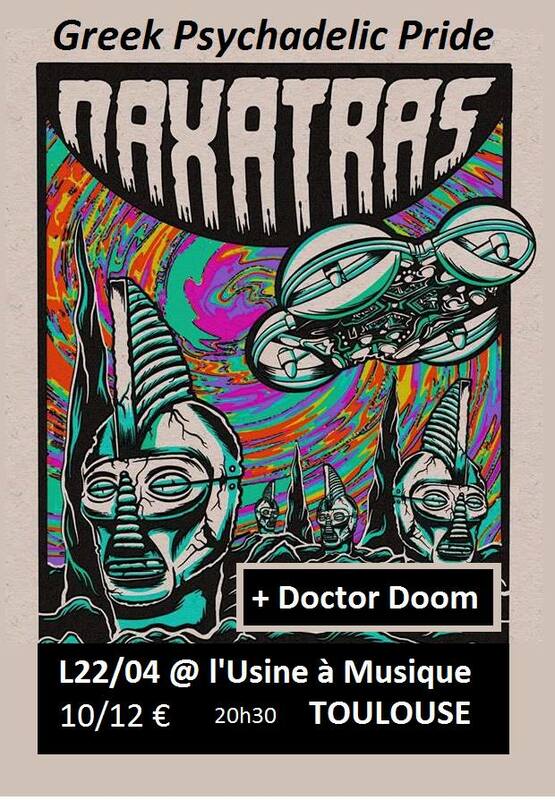 "Naxatras", which was released in 2015, became one of the best selling releases of the genre and has received wide critical acclaim. In 2016, they released their second full length album "II" as well as an EP, once more recorded fully analog and performed live. In 2017, they released the single "All the Stars Collide Into a Single Ray" and recorded their third full-length album, using similar fully analog and live techniques. "III" was released in 2018. The band has developed a reputation for high-energy live performances, combining elements of psychedelic/progressive rock, stoner, funk, jazz and eastern music with a trippy video wall to accomplish full stimulation of the senses. In summer 2015 they went on their first tour playing 5 countries in the Balkans. In summer 2016 they toured Europe once more playing more than 10 different countries. In 2017 they toured for the third time for 40 days and in 2018 for the fourth time for 50 days. They have now performed in most European countries and many distinguished festivals, including Desertfest, Lake On Fire, Sonicblast Moledo, Void Fest, Up in Smoke and Keep It Low.